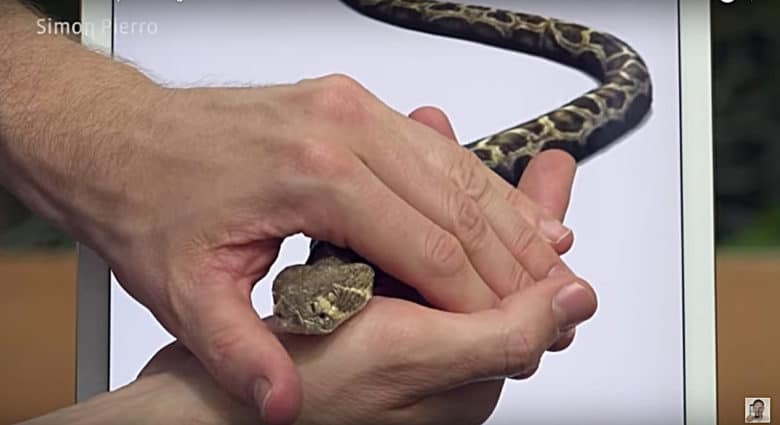 Magician Simon Pierro frees a snake from his iPad. 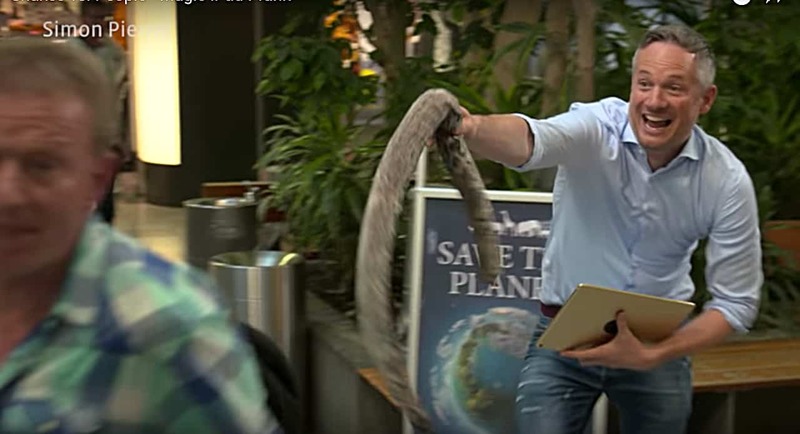 If a tablet computer is a window on the world, then live snakes recently crawled through that window in a mall in Germany thanks to the iPad magician Simon Pierro. Pierro operates his iPad in a space that can not be explained with a chip, graphics card, app or even augmented reality. All that shoppers knew is that one second Pierro was showing them a picture of a snake and then guiding it out of the iPad to slither and wiggle the next. This, as you can imagine, scared the bejesus out of people. “Today we offer a special shock treatment,” Pierro says smiling as he introduces the video documenting his most recent iPad antics. Simon says don’t forget the snake. The iPad magician travels the world performing magic on television, for his YouTube channel and more than 100 stage shows a year. From his iPad, he has poured beer, flummoxed monkeys with screen-popping peanuts and made Oscar statuettes appear so that he could give them to tourists on the Hollywood Walk of Fame. A strict magician’s code forbids him to explain how he performs his iPad tricks. After all, it’s magic we’re talking about. Pierro used the iPad and snakes for three magical pranks. One where a seemingly live snake glides out of the screen and into his cupped hands, another where a close-up image of the mouth of the snake suddenly flips its forked tongue on the other side of the screen, and another involving springy fake snakes. All that was missing was Samuel Jackson. You can view all of his tricks on his YouTube channel, which has more than 325,000 followers.